He is survived by his daughter Valerie J Lightbody and his grandson Lt Thomas Donald (Suzanne) Lightbody. Also survived by a sister Alice (Larry) Jacobs. 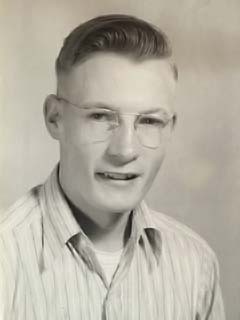 Don lived in Divide, CO and started school there in Woodland Park. His family then moved out east and he continued at Alta Vista School and in Calhan, CO. In his earlier years he served in the United States Air Force at Klamath Air Force Station in Klamath, CA, Bitburg, Germany, Chateauroux, France, and Nauasseur Air Base near Casablanca, Morocco. 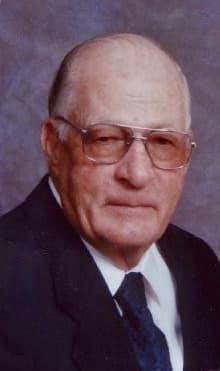 He was honorably discharged as a S/Sgt(T) Reg AF in 1955 and settled at the ranch in Yoder, CO.
Memorial services will be at 11:00 AM on February the 16th, 2019 at Living Word Community Church, 532 Colorado Ave, Calhan, CO 80808. Luncheon to follow. Please wear “Blue” to honor him. Cards can be sent to: Valerie Lightbody 3928 Red Cedar Dr, Colorado Springs, CO 80906. Don was a rancher, who lived out east on Sengbeil Road for nearly 70 years. He worked also at El Paso Floor Company installing many hardwood floors. He was involved with many wrecking and auto parts yards, All Auto Parts, Harris Auto Parts, and American Auto – Fordland on Hwy 94. He also ran a grain elevator at one time in Simla, CO, and a small dairy at his home in Yoder for several years. He married Evelyn L. Bethurum in January of 1957 and their daughter Valerie J. West was born in December of 1958. He was blessed with two grandsons; Andrew Paul Weaver (deceased August 17, 2002) and Thomas Donald Lightbody. Don and his wife attended Stem Assembly of God, First Assembly of God, Radiant, and Living Word Community Churches over their living years. Don loved his Jesus Christ, and was looking forward to returning to heaven to worship his Lord, and join the ones he loved that had gone before him.